Do you want to PROFIT from the Popularity of Poker Tournaments? Learn How to a Host a Poker Tournament at Bars for Money! We have been operating live bar poker tournaments since 2004, use our exclusive “How to Host Texas Holdem Poker Tournaments Operations Guide” and Make Money in the Poker Industry! Are you tired of poorly ran poker tournaments that have horrible structure, unorganized registration, and an ‘anything goes’ style of operation? Do you want to run poker tournaments that are organized, enjoyable and that your players will love? Are you in the planning stages of hosting your own poker tournament and have came to the realization that there is more to it than initially meets the eye? Director-Training is a comprehensive poker tournament director course that explains how to set up, host and run high level poker tournaments for profit. Make Great Money with High Quality Poker Tournaments That PACK the house! This video is from one of our poker tournaments in Atlanta and is an example of what a well ran poker tournament should look like! We have been running events like this for 3+ years in Atlanta and this Tournament Director Course will show you exactly what to run a top notch texas holdem poker tournament! Take advantage of our FREE Newsletter! Back in April of 2004 we started a poker league called the Atlanta Poker Club. 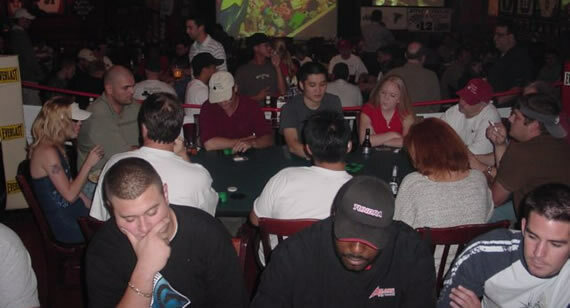 We host freeroll tournaments at local sportsbars and restaunts for a fee, similar to trivia or karaoke. We talked to the manager at a local sportsbar and asked if they were interested in having us host and run a no limit texas holdem tournament at their bar. She said yes and the rest is history. 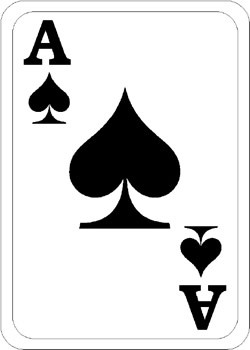 On April 20th, 2004 the Atlanta Poker Club was born. Today, we are still running poker tournaments at that very same sportsbar today. We wanted our Texas holdem tournaments tournaments to be done right. Our motto was “As close to Vegas without the Gambling” since we are playing at sportsbars for entertainment and league points. It is illegal to really gamble in Atlanta, so our events had to be free. So what we did is offered free entry into our tournament. But when someone is playing poker, they naturally want to have a drink, a bite to eat or enjoy some refreshments from the bar. This business model proved very successful and entrepreneurs are starting up bar poker leagues in nearly every and city and town across the country. Because there is money to be made running poker tournaments, if you run them right. We have refined the process and laid it out for you from start to finish on what and how to host a tournament from start to finish. Either make your home games the envy of the neighborhood or fine tune a bar poker league and attract the players who enjoy a quality poker tournament. Your players will notice the difference the very first time they play in one of your events. – Your tournaments are the envy of the neighboorhood (or the competition). Run the best game in town, hands down and you will pull the most players. Get the know how and process that makes it easier than you think. If you have already ran a couple of tournaments and realize that it is more work than you thought, use our time saving tips and “how to” techniques and strategies. We’ve got them jammed into this tournament directors guide and they save time, too. Both official poker tournament rules as decreed by the Poker Tournament Directors Association, to our tweaks and suggestions to make your own rules for your poker tournaments. You learn how to make events will run like a well oiled machine. – Save Time, Money and your sanity! Learn from our mistakes when we started out. Learn from our mistakes, and we made plenty of them. We’ve revised, streamlined and improved our processes on how to hold a texas holdem tournament and we share our techniques and procedures that work, and we have gotten rid of what doesn’t. Reduce your learning curve dramatically. – Earn good money hosting and directing poker tournaments. Good TD’s have a high job demand in virtually every city and town in the country and can make great money doing something they enjoy. We show ways to tap in and find those poker jobs. Run a good tournament and you will draw the players. – Already love poker and want to start making money from it? Poker is a billion dollar market, and still booming. Even despite some of the recent online gambling legislation, live poker (and online) is still thriving, tap in and start earning good money. Tournament Directors are right in the middle of this huge poker market, many people are looking for work as poker room managers and this course will be a huge head start on your competition. – Want quick and easy access to all the ‘stuff’ you need to run a tournament? The tournament director training course has it all – quick and easy to access in one organized place. Visit the table of contents and click the chapter you need access to. Print all the tournament forms, blind schedules and, equipment lists and more. – Looking for a job as a poker room manager? You are going to need to know how to run and operate a poker tournament, that’s for sure. Learn what to do and ace your interview plus distance yourself from the competition. – All information packaged neatly and well organized. Everything at your fingertips, at the click of the mouse. If you are not completely satisfied with the tournament director training course we will refund your money 100% for 8 full weeks for any reason. How’s that for a guarantee? Remember, we built this training course because we need it ourselves to train our poker directors in Atlanta, this is a high quality training course that will save you countless hours of research and trial and error. Whether you are starting up a poker league in your town, hosting a home game, or running a charity poker tournament, make your tournaments the envy of the competition and the favorite to your players. Be A Poker Tournament Director! Maybe you do not want to start a poker league yourself but you want to get a job with one of them. Learn how to direct from us and get your foot in the door with a local company. Plus you can often find work in , home games, casinos, cruise ships, charities and entertainment companies! People are almost ALWAYS on the lookout for well trained poker tournament directors! Running a Texas Holdem Poker night as entertainment is one of the fastest growing and most popular entertainment activities in America. If you are interested in tapping into the multi-billion dollar poker market by operating poker tournaments or starting your own poker league, then this course is designed for you. Learn the fundamentals of running poker tournaments, home poker games, poker league games and how to execute a poker tournament from start to finish. Director Training is the real deal. 90 Million Americans Now Playing Poker!! Plus poker is just now growing in popularity around the world. These poker tournaments need good tournament directors running a fair, fun and quality event. One of the largest areas of growth is the emergence of poker leagues, like the one we started in Atlanta. And all poker league need one thing. Tournament directors to run the events. Good TD’s are vital, we know. FACT – Quality poker tournaments are proving to be some of the most consistently positive revenue generators for sports bars and restaurants on any given night of the week. 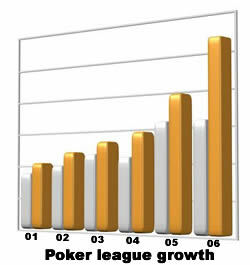 If there is not a poker league in your area now playing freerolls at sportsbars and restaurants, there will be soon. Restaurants and sports bars are always looking for a way to bring patrons into their establishments on slow nights. Poker leagues are proving extremely successful. And this does not even count the massive amount of home poker tournament action going on at virtually every sub-division around the country every week. This is a picture from one of our early events in Atlanta. These tournaments were drawing over 100 players per event on a regular basis. There is opportunity to work for, or start a poker league in every town and city in the country and growing around the world! Poker has found it’s hold on america, just like bowling leagues, pool leagues, dart leagues, the game is proving successful long term. There are opportunities out there, if you are willing to learn. Get a Job in the Poker Market! Restaurants and bars pay a service fee for a poker league to come in and put on a poker tournament. It’s a similar business model as a trivia or karaoke company. There is money to be made by helping to fill the house as the restaurant makes money by selling food and drinks to players by turning a slow night into a busy one. Tap in to this HUGE poker entertainment market – Sportsbars and restaurants are hiring tournament directors right now to host poker tournaments at their pub. Tournament Directors can go to work for local poker leagues or even start up one of their own. Demand for TD’s exists in virtually every city and town in the country. Profit from this demand… If you know what to do. Director Training, shows you exactly what you do to manage and operate poker tournaments and how to run a poker league in a manner that offers your players a fair, plesant and efficient environment, and maximize your own profit-making potential.. The course includes detailed instructions for both home poker games and tournaments as well as the poker leagues that typically hold events at sports bars and restaurants, along with casino-style poker tournaments and private home games. 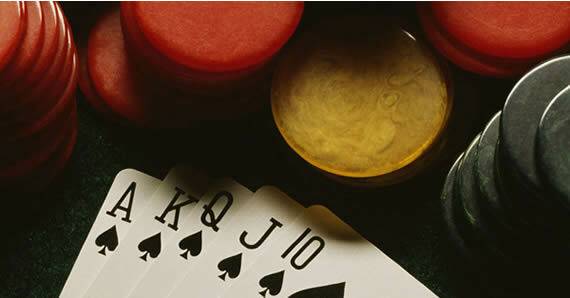 Get the same course used by the Atlanta Poker Club! Remember that poker league we started in Atlanta? Well we use this course to train our new TD’s today. Today the poker club we started has grown into a league that has thousands of members and plays poker virtually every night of the week in multiple locations throughout the city of Atlanta. We built this course because we needed it our self and because it is a perfect compliment to our other poker league products, including the online poker dealing school and the poker league points management software. The Tournament Director is the front line employee for our poker club. TD’s need to be able to think on their feet, and be well trained to handle any situation that can come up. And believe us, in a poker tournament, anything and everything can come up. Training combined with our proven processes, procedures and structure are essential to keep the high quality level of poker tournaments. This course is a comprehensive training tool to teach our tournament directors, and you, how to direct poker tournaments like a pro. Director Training is an online ebook that will be in your inbox minutes after order and it is literally slam packed with information that every tournament director should know! Screenshot of the Table of Contents- Everything we have learned from the past three years running nightly poker events across Atlanta. – Forms, tournament structures, blind schedules, equipment lists, guides tools and resources. – Neat, and easy to use package. Simply put, the Director Training course is a training guide of the best practices we’ve developed over the past three years operating nightly poker tournaments combined with the rules, standards and operating mantra of professional poker tournament directors around the country. It’s all here! The course contains all the information you need to run a poker tournament from top to bottom, start to finish and front to back. Plus, the course is easy to use. If you can use a website, and obviously you can, then you can use the course. Just click the topic you want to read. Oh yeah, not to mention that the editor was none other than a prominent poker writer writing for sites poker sites such as PokerNews, KickAssPoker and Poker Magazine and a recent cover mention in the new Lou Kreiger and Sheree Bykofsky’s book, The Rules of Poker. Run Your Tournament Like a Well Oiled Machine. Learn to direct poker tournaments! Whether you just want to know how to host a home poker game, or if you want to start a poker league in your area, this guide will make sure your tournament directors know how to host the tournament and run the game fairly and professionally. We consulted directly with highly trained, seasoned casino employees, Tournament Directors and authority figures in poker to make this course a super hight quality resource available for aspiring tournament directors. The Director Training course will give you a huge head start on the competition, and will answer ALL of your questions about organizing, hosting and running a high quality poker tournament. If you are in the process of planning your first poker event, then this course will answer your questions and more. We know there is more to it than meets the eye. You can order right now and have instant access, for less than you might think. The course is $197 reduced to only $97 and you have full access instantly after your credit card or paypal purchase is approved. Make your tournaments the envy of the competition or just host the best home game in the neighborhood. Save time, energy and money by doing your events right the first time. Learn from our three years of experience and our hard learned lessons developing one of the most successful poker leagues in Atlanta. Oh yeah, that poker league we started in Atlanta. It’s still running today. If you are ever in Atlanta and looking for a good game visit Atlanta Poker Club.com and come play or if you are looking for a primer on playing poker first grab yourself a sportsbook promo code before signing up at the fishiest online poker site on the internet! 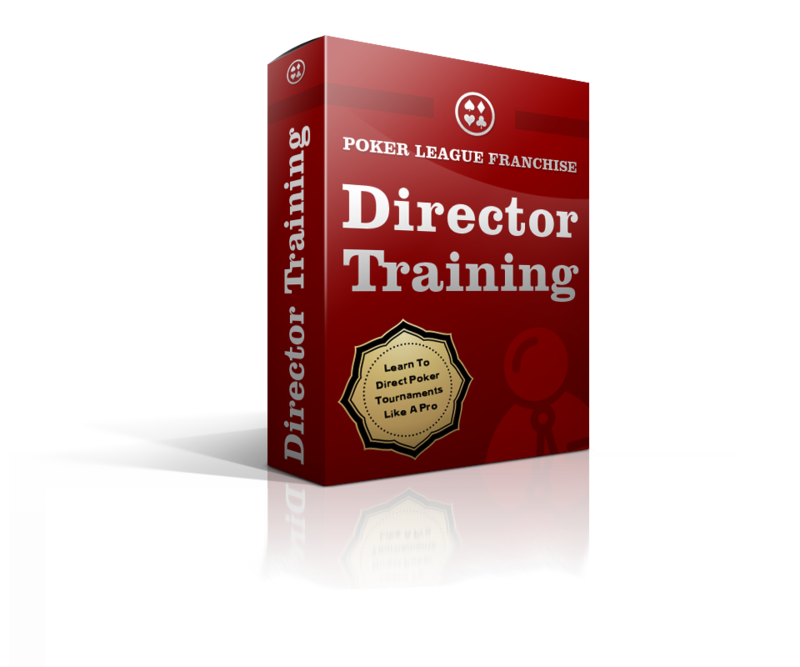 Director Training is packed full of detailed and accurate information, valuable tips, tons of resources including poker rules, scoring systems with different options for leaderboards, equipment lists, blind schedules, an operations guide… and a whole lot more. Host, direct and operate poker tournaments for profit. Tournament Preparation — Have all your bases covered and your equipment ready to go. Everything you need to set up a seamless, efficient and well-run poker tournament. Registration and Seating — A simple, time saving strategy that is easy for TD’s and players. Get techniques used to seat and re-seat players in an equitable manner and a tested registration process that is player-friendly and easy to implement. Tournament Operation — A smooth running, fairly executed event. This is your operations guide, a game plan, exactly what to do to execute a professional no-limit hold’em tournament. Director Training walks you step by step through every phase of poker tournament operation. Tournament Direction — Here’s where you’ll learn what to do while the tournament is underway, and how to handle the issues that pop up during play and what to expect as a poker tournament director. Forms, Rules, Tournament Structure — Worth the price of the cours alone. We supply you with all of the minor details and tools that we use to run our poker-league tournaments everyday. This includes all necessary forms and worksheets, covering registration, tourney overview, blind schedules and break intervals, and our own suggested set of rule basics to be distributed to players. And Much More — Tips, tricks, strategies, techniques, and insights into what makes a tournament a successful venture. Here are more director training features. If you’ve ever run your own poker tournament, you’ve learned that executing a successful tournament is not a simple task. There are dozens considerations, factors and details that must be met to make your event run smoothly. Get the course and run high quality events from your very first event! You have 8 full weeks to try the course 100% risk free and if you are not completely satisfied we will refund your money 100%. Instantly after credit card or paypal approval, you will have access to the course. Even at 2:00 am, get instant access now! P.S. Order in confidence with our 100% Money Back, Satisfaction Guarantee! 8 Full Weeks to try the course risk free! Payments are processed by ClickBank, one of the largest digital product sellers in the wold, safe, secure and instant access! Jason, Brad and The entire Director Training Team. P.S – We guarantee the course 100%. If you do not like it for any reason just email us and we will refund your money 100% no questions asked for 8 full weeks. You have nothing to lose and everything to gain with our rock solid 100% money back guarantee! ©2019 Director Training. All rights reserved.